This St. Patrick’s day I decided to try something new by going old-school. 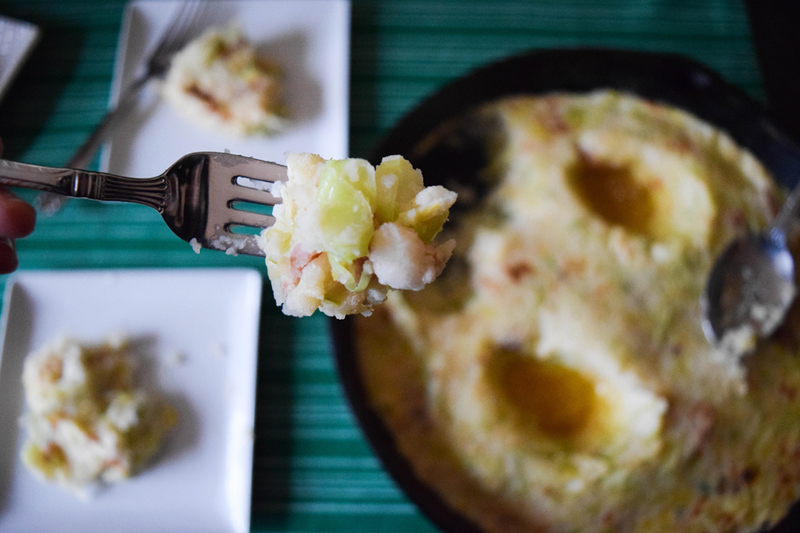 Some believe Colcannon has been around since the 1700s. 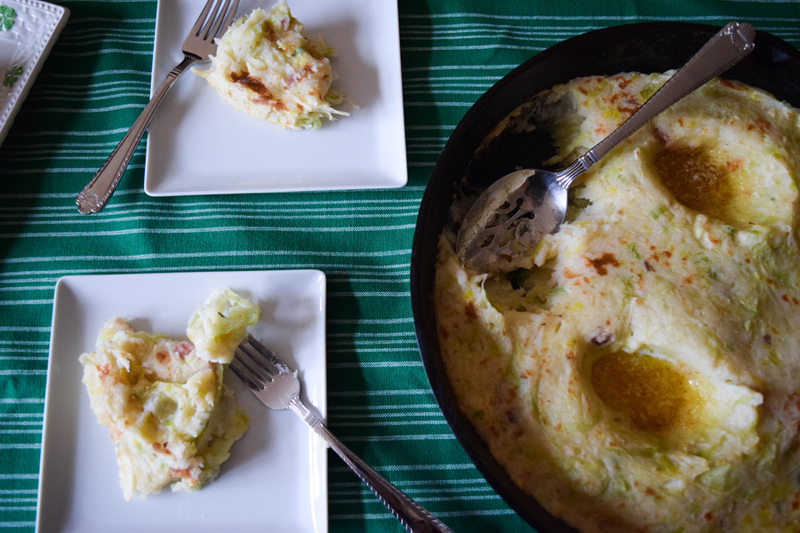 Like many Irish dishes, Colcannon starts with boiled and mashed potatoes. 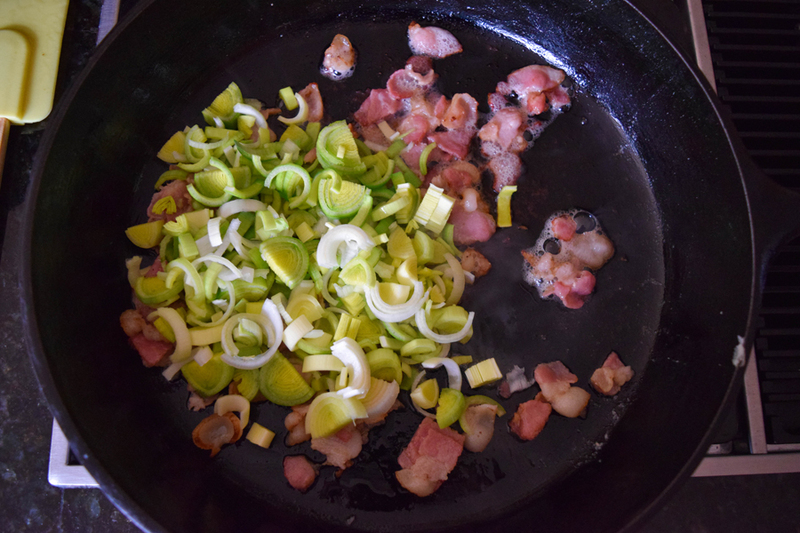 However, these potatoes are mixed with sautéed leek, cabbage and bacon. 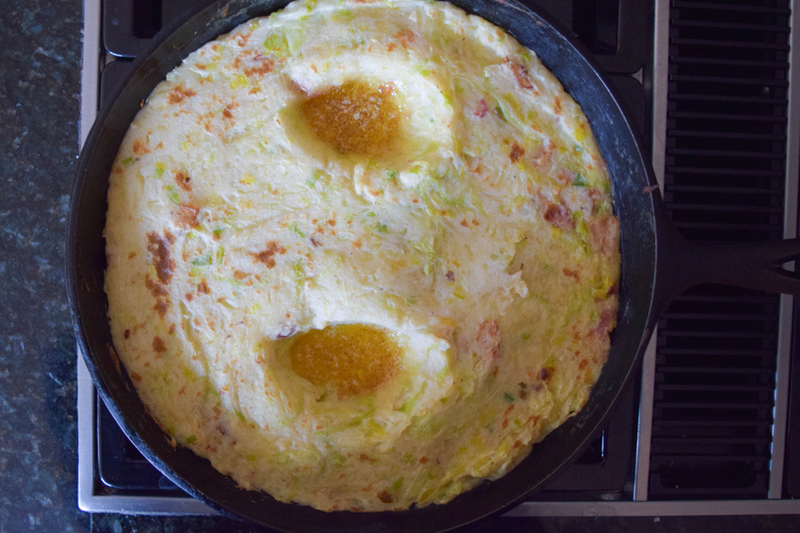 In the old days, Colcannon was served as a special treat. On holidays, adults would even hide rings or thimbles in the dish as an incentive for kids to eat it. You won’t find any trinkets in my recipe but I think you’ll be surprised how a recipe of such simple ingredients can have such big flavor! So celebrate this St. Patrick’s Day using your Farmer Owned ingredients to make something traditional, simple and delicious! 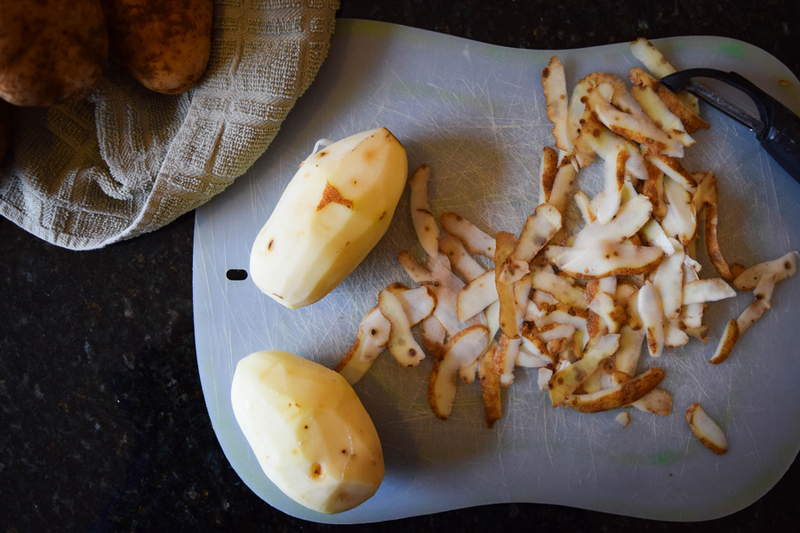 Peel and chop potatoes into large chunks. Place potatoes in a large sauce pot and cover with cold water by 1 inch. 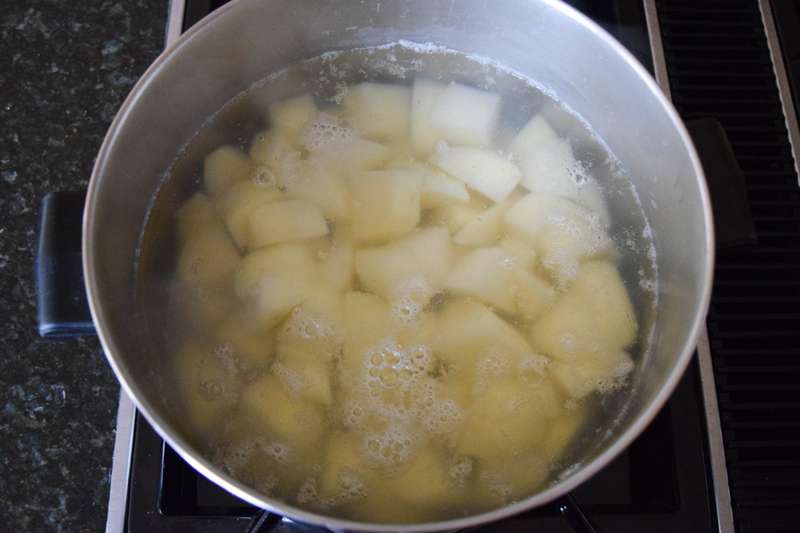 Bring the water to a boil and cook the potatoes for 15 to 20 minutes until fork tender. 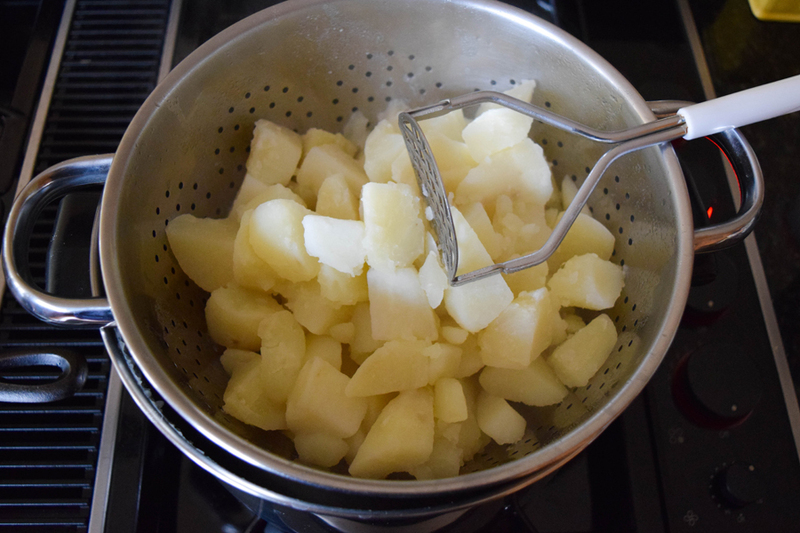 While the potatoes are cooking, place 1 tablespoon of butter in a cast-iron or oven safe sauté pan over medium heat. Melt the butter and then add the chopped bacon. 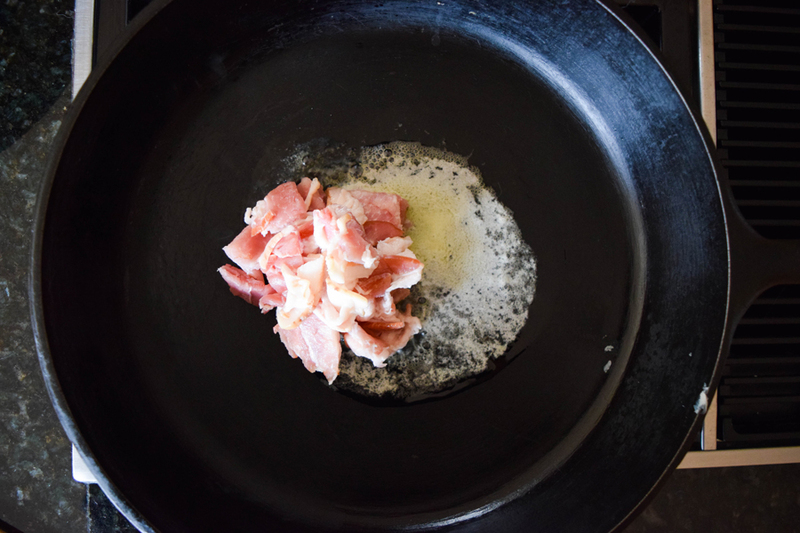 Cook the bacon, stirring occasionally, until the bacon begins to brown but is not yet crisp, about 5-7 minutes. Add the chopped leek and cook for 2 to 3 minutes until it begins to soften. 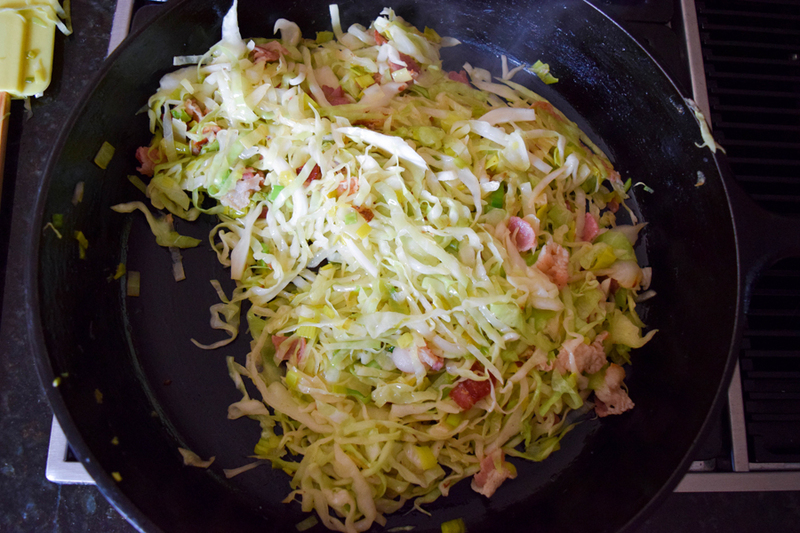 Add the shredded cabbage and cook, stirring occasionally, for another 10 to 15 minutes until the cabbage is wilted, the leek is soft and the bacon is cooked. Turn the heat off and set the mixture aside. Once the potatoes are cooked, drain and mash them. 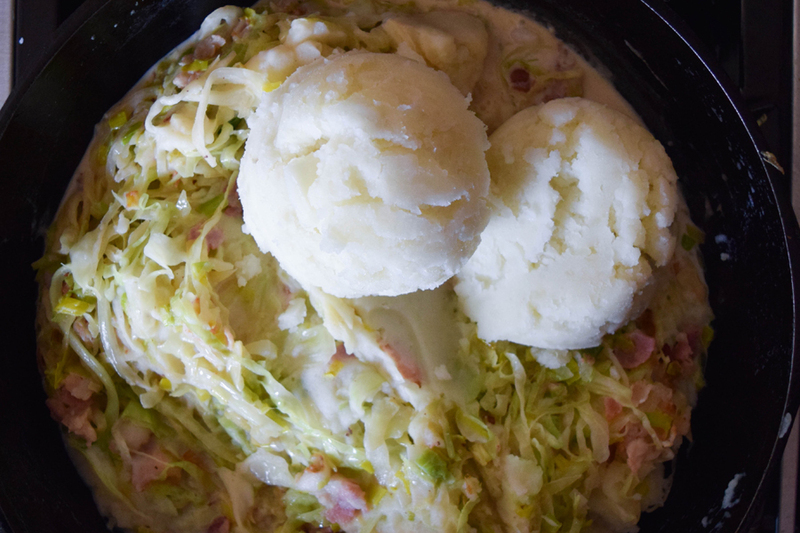 Return the pan of cabbage to low heat and add the whole milk and the mashed potatoes. Mix until all ingredients are equally distributed. Smooth the top of the potato mixture. 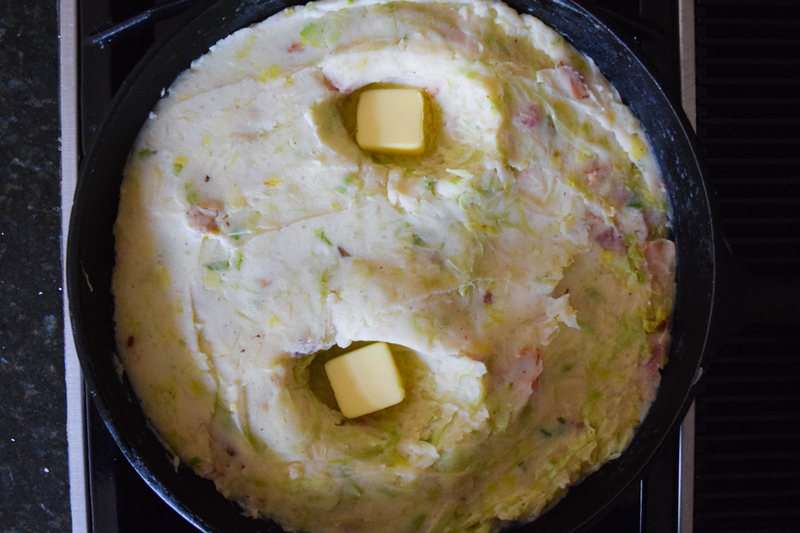 Using the back of a spoon, create two wells in the potato mixture and add the remaining two tablespoons of butter to the wells, one in each well. 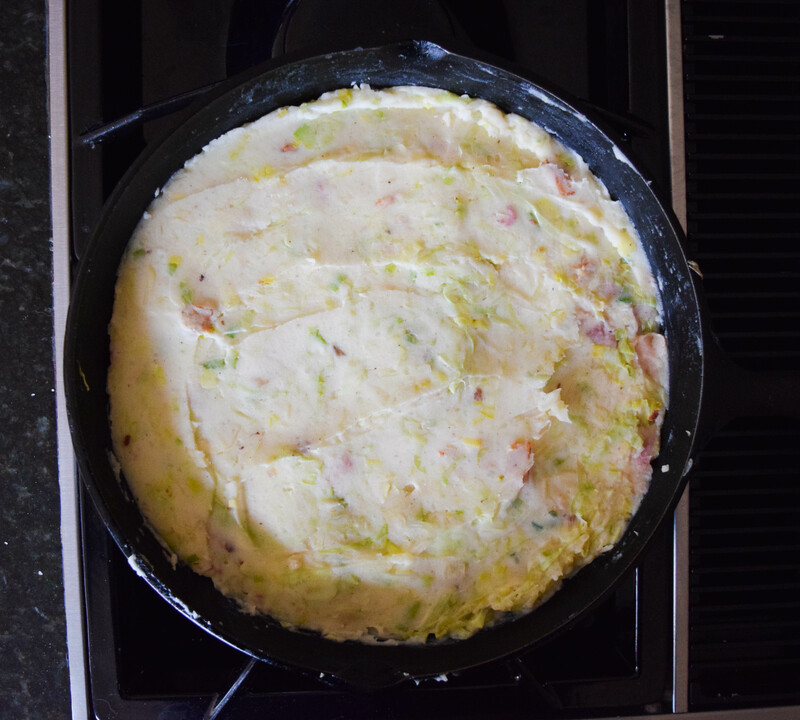 Place the Colcannon under the broiler and cook for about 3 – 5 minutes, until the top is browned lightly and the butter is just melted.